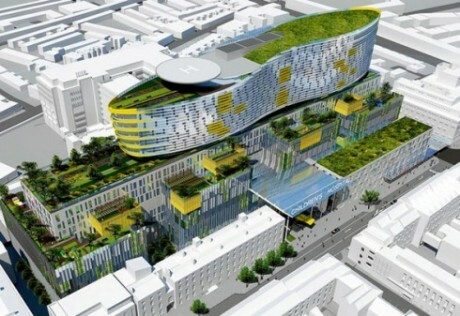 Fingal County Council has made a submission to the Hospital Review Group in respect of nine possible land parcels within Fingal which may be appropriate for the proposed national children’s hospital. Please note that the FCC maps which identify the land parcels within Fingal which may be suitable to accommodate the proposed National Children’s Hospital and ancillary development show an indicative block print of 10,000sqm for each hospital (to demonstrate feasibility of co-location) and the required multi-storey car park is shown within each land parcel. It should be noted that its placement on the sites is to show relative scale and the corresponding ease with which each site could absorb buildings of the scale proposed (or larger) rather than any definitive view at to what kind of building should be placed on the site or where such a building should be located within the site. Fingal County Council are aware of the detailed submissions made in respect of a number of the holdings/land options, and the location maps should not be seen to be in conflict or inconsistent with these detailed plans. In particular, and having regard to the Motion passed by the Members at the Council Meeting of 10th April, 2012, the planning authority is working closely with James Connolly Hospital, Blanchardstown to develop agreed detailed site development options, in line with the recent request from the Hospital Review Group and a separate letter of assessment and support will issue separately in relation to the specifics of the Hospital’s proposal.